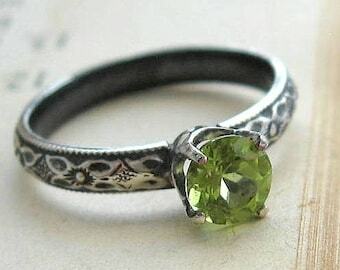 A dainty but sizable birthstone statement ring for the January Girl. 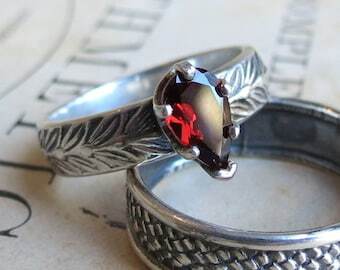 A beautiful deep red rose cut natural garnet gemstone has been set in this entirely handmade ring. 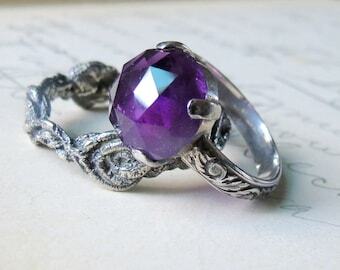 Vintage style with an art nouveau swirl and crown bezel this ring will never go out of style. Entirely handmade by me in my studio. 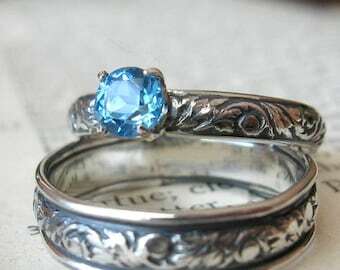 If this ring is not your size please contact me to have a custom one made for you. 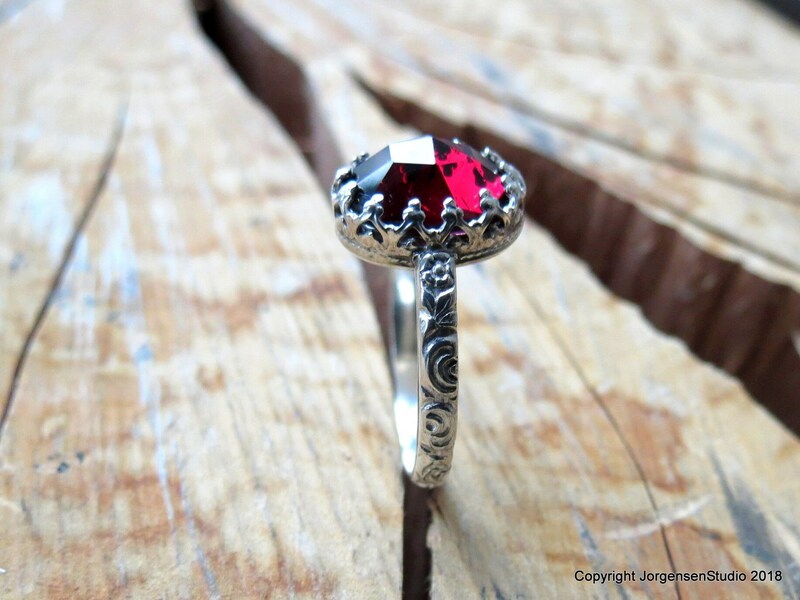 The entire setting is sterling silver. I have polished behind the stone for as much light reflection as possible through this dark stone. 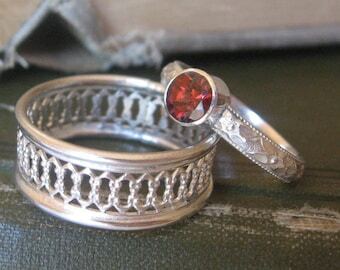 As always, I make my rings by hand in my studio. 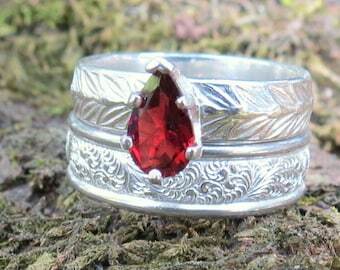 If you like this setting but would like a different gemstone, please feel free to contact me for information on a personalized custom piece.